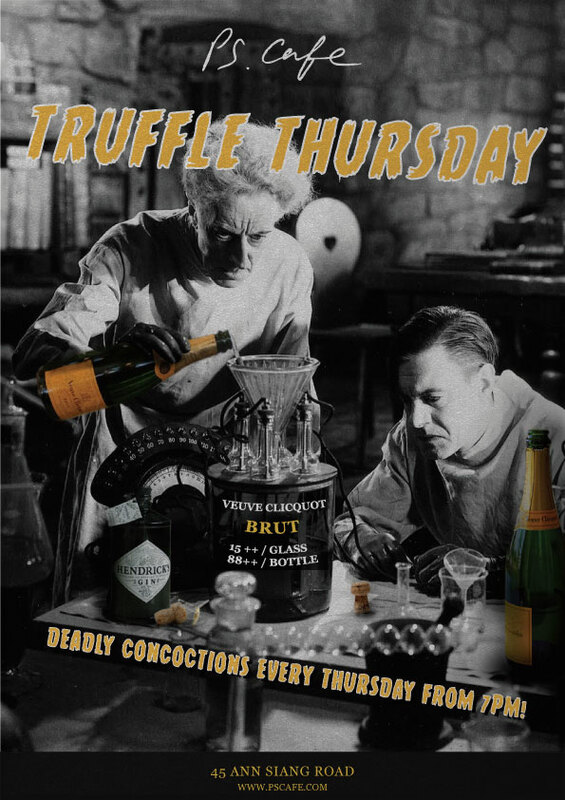 Truffle Thursday at PS.Cafe at Ann Siang Hill Park from 1st of May. Commences every Thursday from 7.00 pm featuring DJ Shigeki. 15++ glass/ 88++ bottle. RVSP HERE. Truffle Thursday at PS.Cafe at Ann Siang Hill Park from 4th of April. Commences every Thursday from 7.00 pm featuring DJ Shigeki. 18++ glass/ 99++ bottle. RVSP HERE.